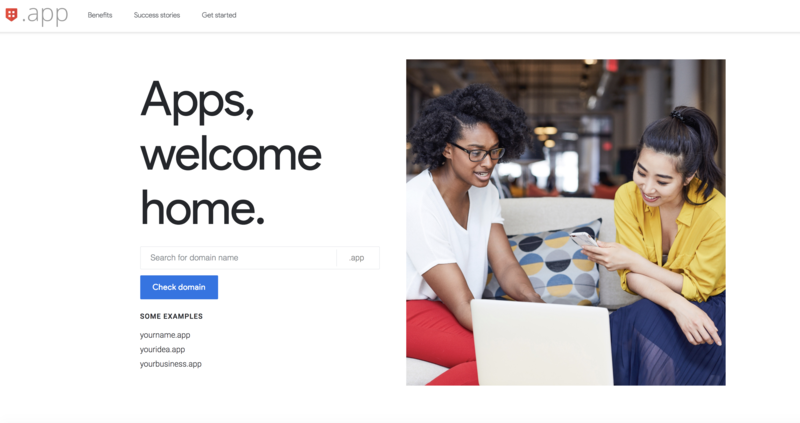 Over three years after Google paid $25 million to gain the exclusive rights to the “.app” top-level domain, the company is at last making .app domains available to register starting today and running through May 7, at 9 AM PDT via Google’s Early Access Program. The following day, May 8, the domains will go on sale for the general public, including through other registrars. In addition to the expected demand, Google is requiring HTTPS for all. app websites. This built-in security protects against ad malware, tracking injection by internet service providers, and safeguards against spying on open Wi-Fi networks, the company explains. This year, Google said it would mark all pages without HTTPS encryption as insecure starting in July with the launch of Chrome 68. Given its plans, it makes sense that Google’s new domain addition would also include HTTPS protection built-in. Still, it’s something of a milestone, Google notes. “Because .app will be the first TLD with enforced security made available for general registration, it’s helping move the web to an HTTPS-everywhere future in a big way,” the company writes in its announcement of the new TLD. The company also removed the requirement that limited the domain to app developers, though Google suggests the name makes the most sense in that market. Interested .app domain shoppers can register their domain of choice today through May 7, 2018 starting at 9 AM PDT, if they want to pay the additional fee for early access ahead of the domain’s launch to the public through other registrars. More info is on the get.app website.